More than 30 years ago, Frank White coined the term "overview effect", to describe the cognitive shift in awareness that results from the experience of viewing Earth from orbit or the moon. He found, that with great consistency, this experience profoundly affects space travelers' worldviews - their perceptions of themselves and our planet and our understanding of the future. White found that astronauts know from direct experience what the rest of us know only intellectually: We live on a planet that is like a natural spaceship moving through the universe. I didn't know much about Patagonia before reading this, and don't have any of their clothes. 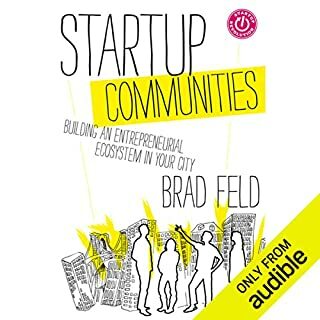 I was looking for an inspiring book on entrepreneurship, which it was, in part. You certainly can't fall Yvon for standing up for what he believes in. Probably not the typical American executive or corporation, and I think more companies and executives should think the way Yvon does. 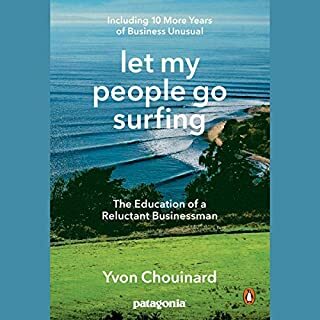 I think the trap people fall into is putting profit above all else, but I think Yvon and Patagonia show us that you can live your beliefs, create an amazing organization, and presumably do pretty well financially, though he certainly doesn't go into that part of it. It's a little preachy at times, and I kind of believe we all have skeletons in our closet in terms of hypocrisy, but ultimately better to live what you believe for better or worse, and do it out loud, which Yvon Chouinard certainly does as evidenced in this book. Ultimately I would say this book is more sobering than inspiring, but valuable nonetheless. 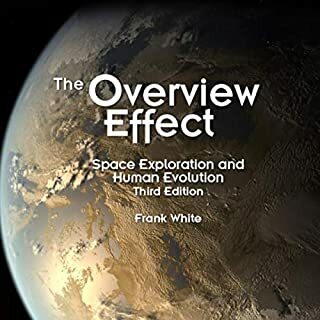 As a follow-up to the seminal work, The Overview Effect, Frank White explores life's destiny in the universe and a compelling new hypothesis. At the Space Entrepreneurs in Seattle, WA, we are focused on the what of space exploration - the what being helping people advance their careers in space. Frank White has done an amazingly thorough job of exploring the "why" of space exploration in the Cosma Hypothesis. As Simon Sinek would say, it starts with why. We have the option to do things as we have always done them, or we could pursue a higher destiny and be a better version of ourselves through space exploration. It's my firm belief that by reading the Cosma Hypothesis, it will help you more firmly ground your reasons for exploring space in the why, and at a more planet-wide level. We all have our own reasons for being interested in space exploration, but Cosma will help you understand those within our society and the world as a whole. As a world-renonwed space philosopher and author of the now cult classic "Overview Effect," Frank takes his thinking to the next level about what this all means. 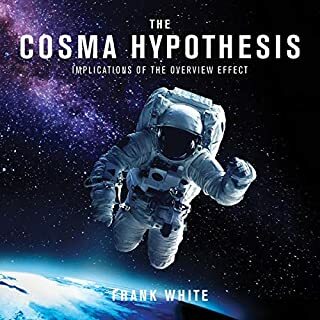 With the rise of the commercialization of space, it's important that we think consciously about why we do this, so we can better inform our how, and Frank helps us do just that in the Cosma Hypothesis. 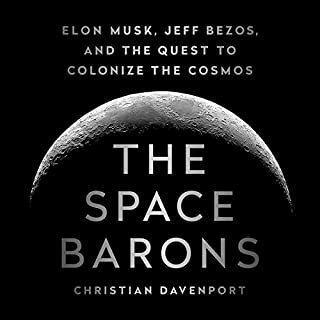 Excellent, Well-Organized Overview of "NewSpace"
I work in the space industry, and therefore listen to a lot of audio books on space. 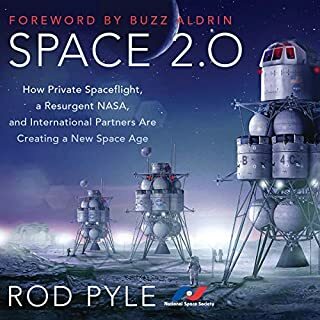 What I thought Rod did best with this book is to synthesize a ton of material - there is a lot happening in space these days - and make it easy to understand. It was really well organized and flowed well. If you're just trying to find out what's happening in space these days, this is the perfect book for you. It doesn't go into great depth, so if you're looking for something technical on a particular subject of space like propulsion or communication, this isn't that kind of book. Drones on a bit, without any first person narrative, but educational. Good starter for someone unfamiliar with the inner workings of a board, like I was. Great overview, organization, and narration. If you’re looking for highly technical, this isn’t it. If you’re looking for a behind the scenes history of Blue Origin and SpaceX, this is it. 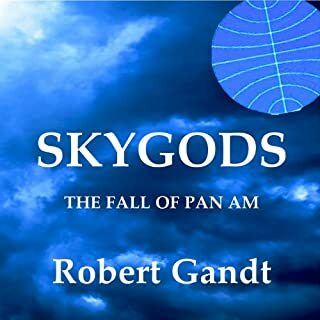 The narrator was great the story flowed very smoothly, very entertaining. 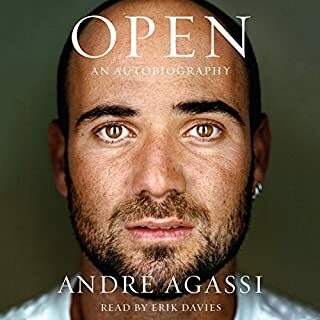 The story definitely lives up to the title, I wish I could be that open. When you read it, you feel like you get to know Andre as a person. Nobody's perfect, but it was a fun ride. 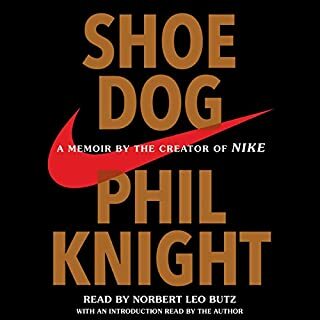 If you like sports and business, this is a must read. Even better if you like Japan, entrepreneurship, and are from the Pacific Northwest, grew up playing sports and wearing Nike stuff like me. But seriously, easy, fun, and inspiring listen. This was a good listen overall if you like aviation and history. But there was something missing. Not sure what it was though, hence the 4 stars. Easy listen with good detail. 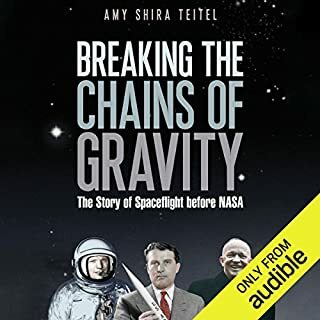 Good for those who are interested in the history of Spaceflight.